Cats are like humans in the sense that they do not like to eliminate in public. They prefer to go to the bathroom in quiet, secluded locations. If you are trying to train your cat to use the litter box, make sure you place it in a quiet area with minimal foot traffic. An ideal location would be a quiet corner, but if you can’t find a corner, even having the litter box up against one wall will do. Make sure that the cat knows where the litter box is and that there are no obstructions to reaching it. Ideally, you don’t want the litter box right next to the cat’s food or water either. Because cats are still most likely to have accidents, do not give them full reign of the apartment or house. 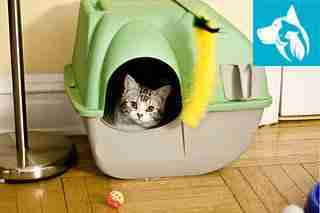 Keep the cat in a confined location where you spend a lot of time in – a room or two – so that you can observe it. Your cat will usually let you know it has to go to the bathroom by scratching at the floor or by running away from an activity it is involved with, like playing with a toy. 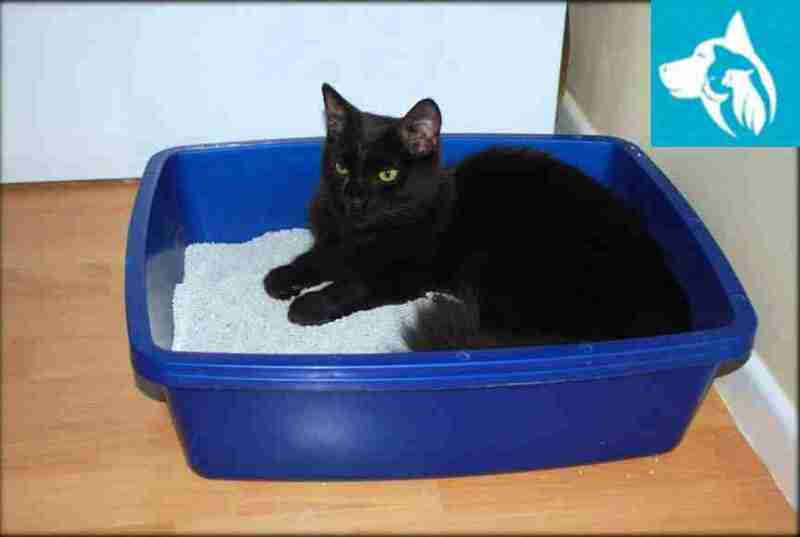 Training your cat to use the litter box will be easier if you help it out at first. If you observe that it has to eliminate, pick it up and lead it to the litter box. Once your cat is in it, if it seems confused and doesn’t know what to do, take its front paw and gently start scratching and digging the litter with it. If this doesn’t work, take your own hand and scratch at the litter so the cat will know this is a safe location. The scratching motion also indicates that this is a place to eliminate. Generally, cats eliminate right after they wake up after they eat and after exercise or play time. While the cat is still learning to use the litter box, after each of these activities, pick the cat up and place it in the litter box. Getting your cat in the habit of using the little box after these activities will help teach it what to do and avoid accidents. In the very beginning, it is a good idea to even take your cat to the bathroom more often than that, such as once every hour. Again, this will help to avoid accidents and get the cat in the habit of using its litter box. Always praise your little cat for using the litter box and never scold your cat for not using it. 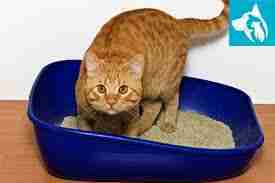 You do not want to associate the litter box with getting in trouble or negative memories. This will scare your cat away from using it. Always use gentle, pleasing tones. If your cat does have an accident, remember never to raise your voice at it. Instead, pick it up from the accident area, gently say, “No,” and place it in the litter box. Give constant praise to your cat as soon as its paws touch the litter. This will reinforce the idea that cat is supposed to go to the bathroom in the litter box, not on the floor. Also, Vetstreet suggests that it’s very important to choose a good kind of litter because sometimes the scent may be too repulsive for the cat. If you enjoyed our article and found helpful tips about how to train your cat, go ahead and share it with your friends so they too can have a simple, positive experience with training their cats.